If you're a postmenopausal woman, have you stopped taking your estrogen pills out of fear that they are somehow dangerous? If my patients are typical, I would estimate that the number is about 50%. And all because of some very bad reporting by the media. Let me explain. A few years ago, headlines all over the country pronounced that the latest study from the Women's Health Initiative (WHI) showed that women taking "hormone replacement therapy" had an increased risk of heart disease, cancer, strokes, and dementia. At the same time, according to the press, the study showed absolutely no substantial benefit from the treatment. No benefit and significant risk. A woman would have to be a fool to keep on taking her hormones after reading that, right? The problem is that these terrible results from the WHI study were not about hormone replacement therapy at all. They were about drug replacement therapy. Drug replacement therapy is when a drug is used to replace a deficient hormone instead of using the actual hormone. Common sense tells you that this not only does not make sense, but is likely to be dangerous. The two drugs, as you would expect, have different effects. Premarin had enough of an estrogen effect that the women taking it were at a much lower risk of heart disease than those taking nothing. How much better would the results have been if they had taken real, bio-identical estrogen? Women taking Provera not only continue to have a progesterone deficiency, but they also get to have all the side effects that come with a drug. The moral? Don't replace your deficient levels of hormones with drugs; replace them by taking hormones that are identical to what is already in your body. These hormones are called bio-identical hormones, and there are many doctors that are using them. I am sure you can find one in your area just by surfing the internet, or asking around at your local health food store. 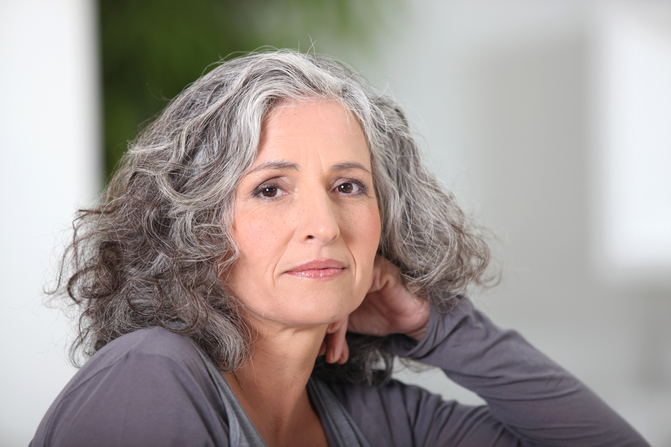 When you replace deficient levels of hormones with bio-identical hormones, you will age much more slowly. You will also have a much lower chance of developing all of the diseases that come with aging, such as heart disease. This point was just recently brought home by an article in the New England Journal of Medicine entitled "Estrogen therapy and coronary-artery calcification." For years heart disease researchers have known of the relationship between how much calcium is present in the coronary arteries (the arteries that serve the heart itself) and heart disease. The more calcium you have in these arteries, the greater your risk for having a heart attack. In this study, 1,069 women aged 50-59 had their coronary arteries measured for calcium content. Half were taking estrogen; the other half placebo pills. On average, the ones taking estrogen had 30% less calcium in their arteries than those taking placebo. Better yet, when the researchers looked at the women who were in the highest risk category (those with calcium scores greater than 300), they found that there were almost twice as many women in the estrogen-deprived group who had the elevated levels than those who were taking estrogen. This study provides more evidence regarding the heart protective effect of taking estrogen. For women, estrogen is truly heart medicine. Manson JE, Allison MA, Rossow JE, et al. Estrogen therapy and coronary-artery calcification. New England journal of Medicine 356;25, June 21, 2007. 2591-2602.